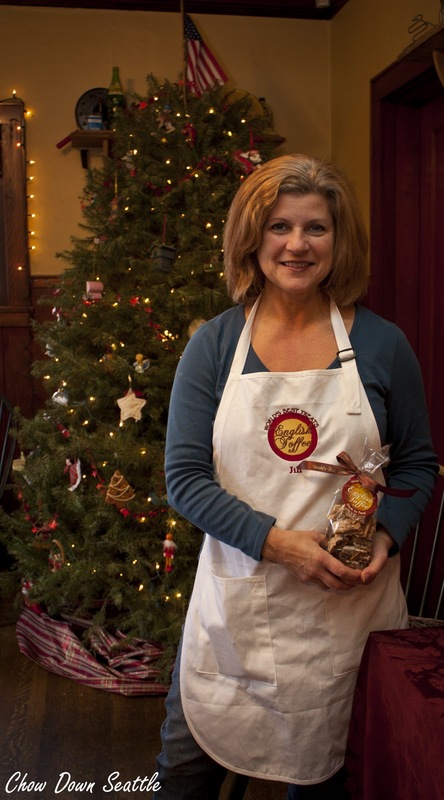 I had the pleasure of visiting Jill's English Toffee and meeting Jill herself! 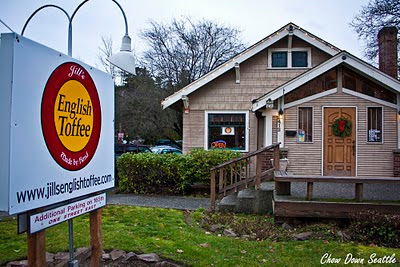 Jill just recently took over the old Brown Bag Cafe location in Redmond. I visited Jill's shop at the height of the Holiday season, so there was much activity making toffee and preparing orders for shipment. There were also a good number of customers coming into the shop to sample some of the toffee and make some purchases. In-between helping customers and preparing toffee orders, I had the opportunity to chat with Jill about her English Toffee. 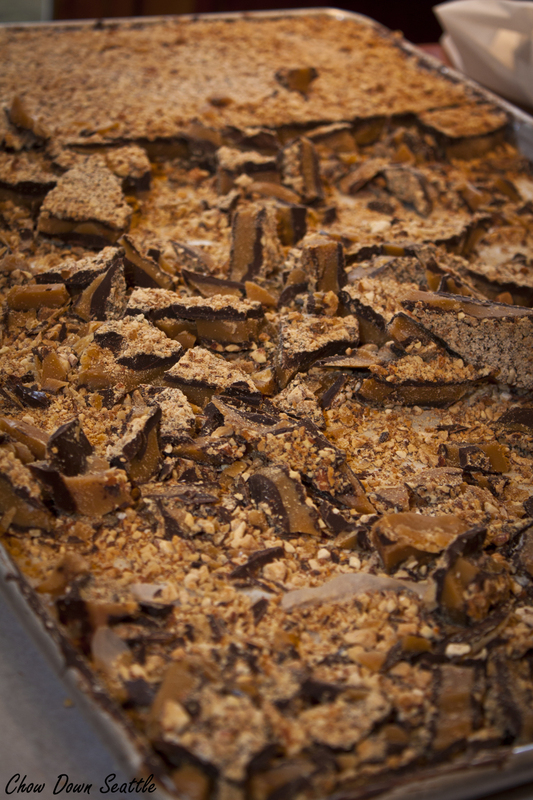 Jill has been making her delicious toffee at home for many years. She would give it out as a Christmas gift to friends. After discovering how popular her English Toffee was among her family and friends, Jill decided to go into business for herself. 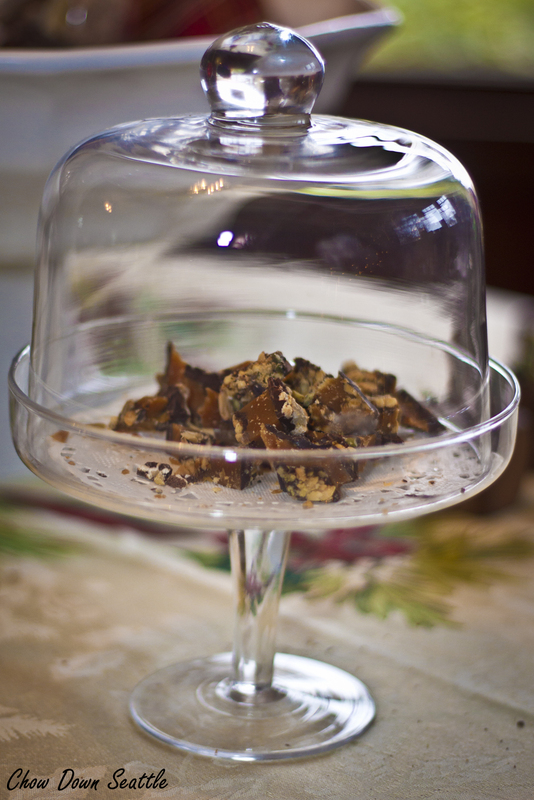 Jill offers seven flavors of her English Toffee. They come in: Milk Chocolate, Dark Chocolate, White Chocolate/Pecan, Mocha (made with Starbucks Via Coffee), Hawaiian (made with Macadamia nuts), Stadium (made with peanuts and sunflower seeds), and Soy Nut (for those with nut allergies). I have sampled all seven flavors, and I can honestly say they are all delicious. My personal favorite is Mocha, as I'm partial to anything with a coffee flavor. Jill gave me some samples to share with my friends over the Holidays, and the English Toffee was a huge hit! I had to make sure to grab a few pieces for myself before it was all gone. I highly recommend visiting Jill's English Toffee shop in Redmond at 8412 164th Ave. NE. 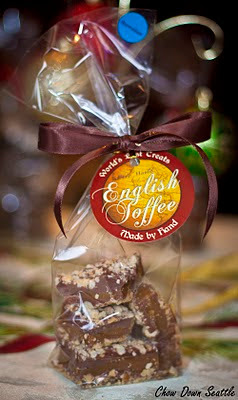 You can also visit her website at http://www.jillsenglishtoffee.com/.